Creepy, kooky, mysterious and spooky, Wednesday Friday Addams could very well be a vampire from Anne Rice's novels or a demon-child not unlike Damien Thorn. If you think so, you obviously haven't met the Addams family of mavericks. Wednesday is not any more inhuman than your roommate who has taken a penchant for all things goth and ghoulish. She is no little witch-in-training either; that kind of cachet at least goes to her Grandmama. But one way or the other, Wednesday is Halloween royalty. Nihilistic and eternally unsmiling, this girl can teach scary women a thing or two about looking the part. 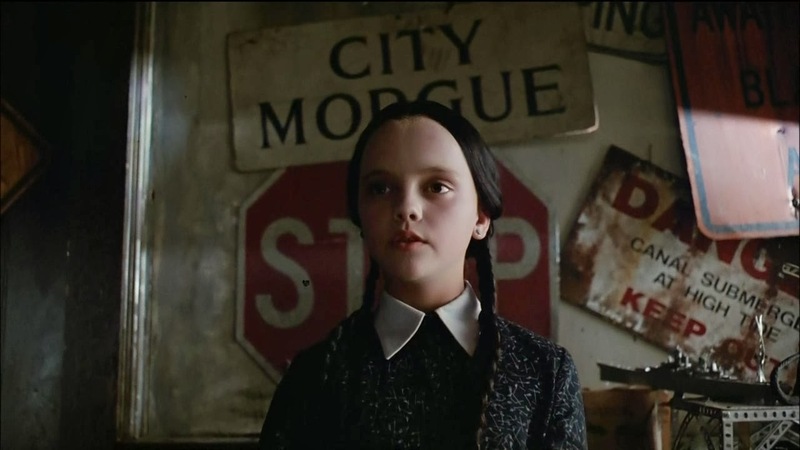 One reason why Wednesday Addams costumes are so popular on Halloween is their attainability. 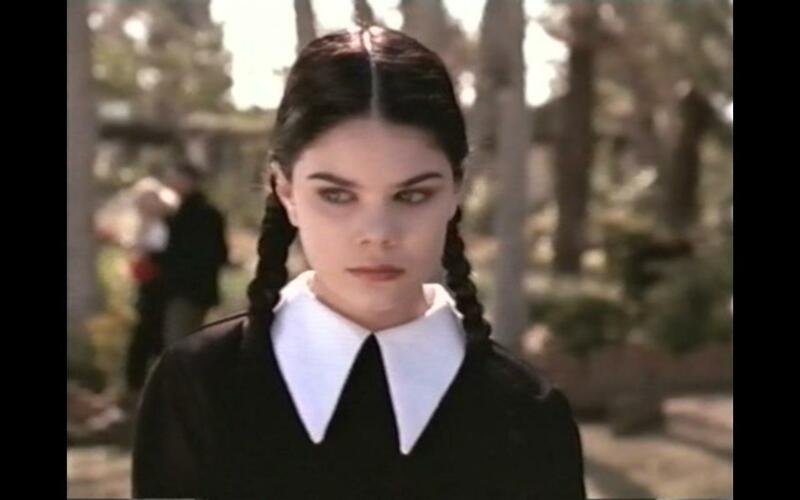 Wednesday always rocks this Amish schoolgirl-from-hell look, and as you may know, most things Amish take the DIY route. Wednesday's wardrobe staple, as befits the ultimate uncaring girl, is a long-sleeved, button-down black dress with a white Peter Pan collar. Cheapskates would certainly delight in this tip from the good folks at XO Jane: Simply wear a dickey or white-collared blouse under a black dress or top, and you're set. But if you want to stay faithful to Wednesday's Pilgrim-slash-atheist look, conjure some ideas here. Just be careful to skirt those skirts with hemlines way up there; Wednesday simply won't approve. Complete the ensemble with black tights. Shoes are black, of course, preferably Mary Janes or lace-up boots. But you may wear black-and-white brogues. 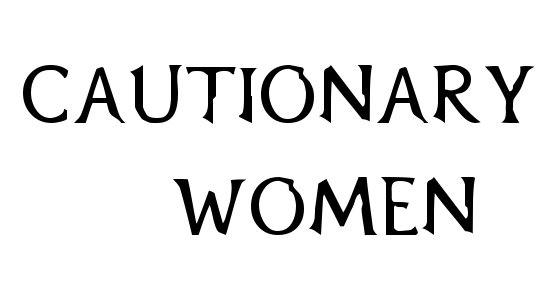 Most women have braided their hair at some point in life, so Wednesday's coiffure should require little thought. That is, if you're naturally brunette. If you're currently sporting the Miley Cyrus or Sinead O'Connor cut, have a little faith because Wednesday wigs are not hard to come by. 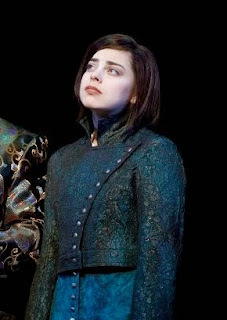 Besides, the Addams Family musical sees an 18-year old Wednesday wearing her hair short. Wednesday is this pallid girl whose face stands out like the moon against a sable mane and dress. So make sure to stay out of the sun en route to October 31, and follow any of these videos. 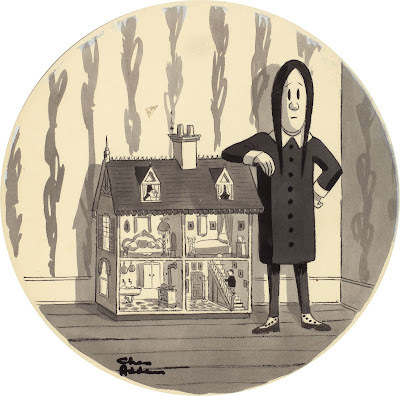 Addams Family creator Charles Addams baptized Wednesday after the nursery rhyme "Monday," which talks of "Wednesday's child" being "full of woe." "Full of woe" is contentious though. Behind Wednesday's adamant stolidness is a girl happy on her own terms. With headless doll Marie (Antoinette) and pet tarantula Homer, Wednesday is good to go at playtime. To add some verisimilitude to your Wednesday get-up, don't ham it up for your friends' cameras on Halloween night. In other words, ham it up for the cameras by putting on your best poker face. Use deadpan humor too. Lots of it.